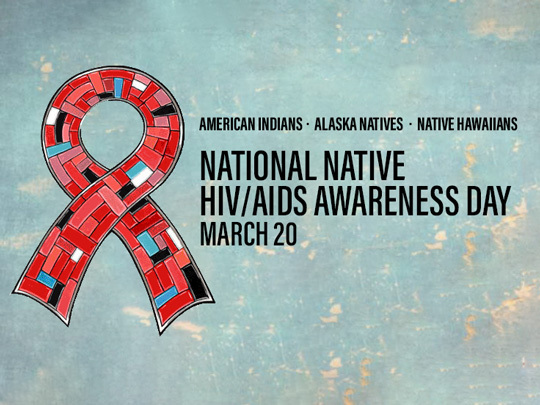 Today is the annual observance of National Native HIV/AIDS Awareness Day(NNHAAD). Please join us in recognizing the impact of HIV on Native communities, and in communicating about the importance of knowing one’s HIV status. At NNHAAD and beyond, we join individuals and organizations across the nation in our shared goals of increasing awareness of HIV prevention, care and treatment. HIV.gov encourages everyone to speak out about stigma, to use the HIV.gov Testing Sites and Care Services Locator, and to join the effort to reduce the impact of HIV among American Indians, Alaska Natives and Native Hawaiians.